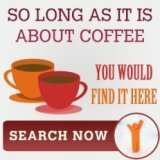 What espresso coffee pods are available on the market? Before attempting to convey and idea of the range of espresso coffee pods on the market, let us take a moment and briefly reflect what the development of espresso coffee pods means to the coffee lover. 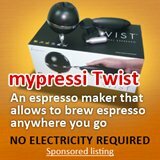 In times gone by, the espresso lover would have had to consider the purchase of an espresso coffee machine (the range of complexity of the espresso coffee makers and their prices is quite large) as well as the purchase and storage of espresso coffee beans. 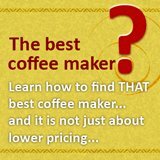 The beans need to be finely ground and the espresso machine needs to be properly maintained in order for the espresso lover to have any chance of having a halfway good espresso. The choice of espresso would be restricted to the choice of espresso coffee beans that the coffee lover has purchased. 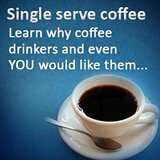 However, with the advent of the coffee pods a whole new world has dawned in the enjoyment of espresso. The espresso pods that are designed for the pod coffee machine allow for a whole range of experiences and choices similar to having your own coffee shop at home. There are a number of coffee machine manufacturers who have developed systems capable of using the espresso pods. Keurig has its K-Cup system, Braun has introduced its Tassimo machines and Melitta has its “One” system. At the top of the pile would be the Nespresso system from Nestle. The Nespresso espresso coffee pods system is dedicated to providing the best espresso on demand. Many of the other single serve systems have a greater range of coffee pods and tea pods available for use in their systems. 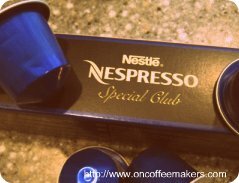 However, Nespresso has focused specifically of the espresso pods as their niche in the espresso market. Their range of Special Club and Limited Edition espresso coffee pods are designed to stretch the range of espresso experiences for the coffee lover by sourcing espresso coffee beans from some of the most exotic locations from across the world. Even the “normal” range of espresso pods on offer by the Nespresso espresso systems cover a wide range of espresso tastes. From full bodied all the way through to decaffeinated; the full range of espresso coffee experiences is there. The great thing about the espresso pods is that you are able to “experiment your way across the world of coffee” without having to purchase expensive espresso beans every time. By obtaining an assortment of espresso pods one is able to “visit” a different “coffee place” with every cup of espresso one enjoys.